Great job everyone. Really nice work on the Slim Lever! P.S. Keep checking back at the site for a compelte write-up of the Slim the Hammerman / Mighty Atom induction ceremony at York Barbell that took place on 5/21/11! 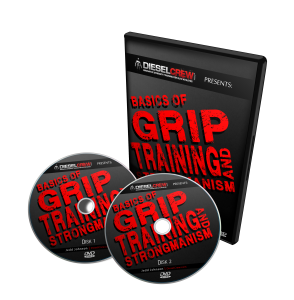 This entry was posted on Sunday, May 22nd, 2011 at 11:44 am	and is filed under feats of strength, feats of strength bending, Grip Sport, grip strength competition contest, how to improve grip strength, old strongman feats of strength. You can follow any responses to this entry through the RSS 2.0 feed. Both comments and pings are currently closed. Hahaha! Mike K. please. Impressive levering from everyone. We needed Josh in the mix this week. Jason Steeves gets my vote. Nice job. Voting is closed. Jason Steeves is the winner! Thanks everyone! Thanks Jedd. There’s a few of us racing to 16# because of this. If anyone else is interested get ahold of me or Mike K.